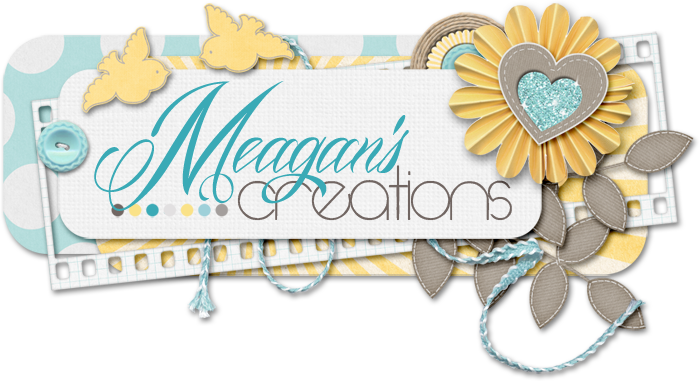 Meagan's Creations: Meet Meagan's CT: Belinda! Happy Halloween everyone. My name is Belinda a.k.a. ScrappinMom. I live in the big beautiful state of Texas. I'm happily married for 22 yrs to my high school sweetheart. We have 3 beautiful children (two girls and a boy) that are pretty much grown. Our youngest is almost 18 years old and as I type this, he is waiting for the Army recruiter to come by and take him to MEPS to take his physical and swear in tomorrow to the U.S. Army. So proud of my son. Anyways....I have been digiscrapping for a couple years and I am totally addicted to it. Not just the scrapping, but the facebooks, blogs, forums and almost anything else to do with digiscrapping. I love looking at what others create and getting inspired. I love seeing all the new kits and have a very hard time resisting a sale. Like I said I'm addicted. I started digiscrapping because I love taking photos of my family and documenting the moment. It brings me a lot of satisfaction to create a beautiful layout with precious memories. Other hobbies: include riding motorcyles with my husband, reading, and taking pictures. A dream of mine: I would love to go scuba diving and explore a coral reef and I would like to drive a race car. Favorite layout technique: I love to blend photos into the background. 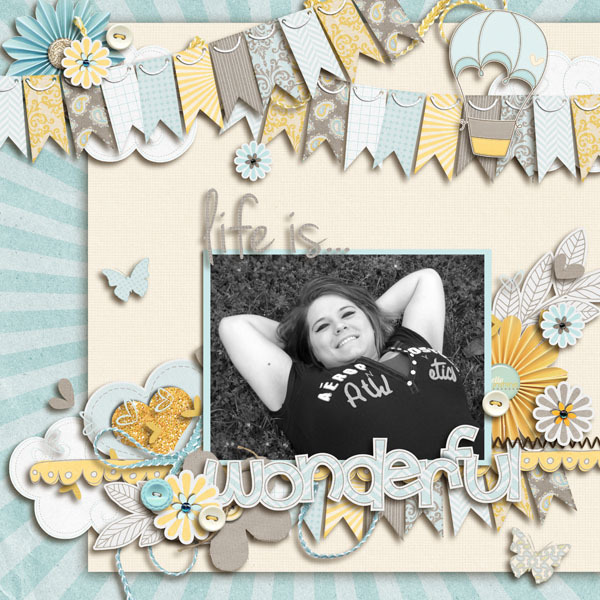 My favorite product by Meagan's Creations: Hard to do because I have so many but if I had to pick one it would be The Simple Life which I used to create the layout of my oldest daughter below. I love the soft colors of blue and yellow. I think it's a very versatile kit. It could be used to scrap baby pictures, older children, and adults. I really love the wordart Megan made. My favorite elements would be the banner and the balloon. I thinks they are soooo cute. You can check out my blog here and my gallery here. BTW my siggie below was created with Meagan's new kit called Retro Halloween available at Scrapmatters. Super cute! Thanks for sharing Belinda! Love it! and I LOVE your siggy! so fun!!! And hey, Louisiana isn't THAT exotic! lol! Manic Monday Sale at ScrapMatters! 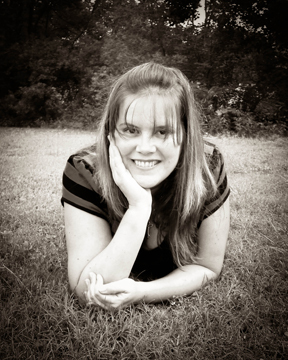 Last Chance to grab the Facebook FREEBIE! Halloween kit: Sneak Peek and WIN!